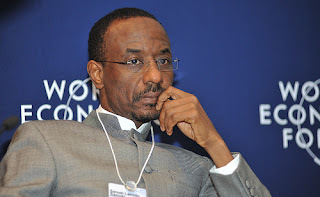 Insights: Is Sanusi Lamido Sanusi Nigeria’s most powerful man? 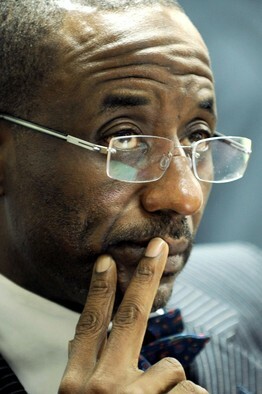 Is Sanusi Lamido Sanusi Nigeria’s most powerful man? Dateline January-It is the aftermath of the deadly bomb blasts in Kano. Many victims are dead. President Goodluck Jonathan visits Kano with his entourage. All he has for the victims in pains and crying are words of condolences. In the Nigerian parlance, one can only imagine what may be going through the mind of the victims like “Na words we go chop” a pidgin English way of saying words are not enough, words alone would not help us heal, put some money on the table. But the President leaves, no donations are announced and the victims are left to take care of their injuries. But in February here comes Sanusi Lamido Sanusi, governor of the Central Bank of Nigeria (CBN), an indigene of Kano with hereditary to rights to the throne of the current 82 year old Emir of Kano. He feels the pain of his people that have just been visited by such tragic incident. He not only condoles but matches his words with action. Before he leaves Kano, he drops a cheque for the victims through the governor of the State. A N100 million cheque (USD 645,000 or 392,000 British Pounds). Within a few weeks, he flies down to Madalla, another town where Boko Haram dropped bombs and he is not just offering words of comfort. He leaves a N25 million cheque on the table. It is not clear where the Governor will be visiting next with his largesse train. The UN headquarters bomb victims in Abuja are yet to be reached, Maiduguri which has suffered for far longer period from the Boko Haram plague is yet to experience the governor’s benevolence and even Jos, which has sadly suffered years of killings, is yet to receive the governors benevolence. They may not have to wait for long. The governor is highly bullish on donations. In 2010, the CBN under Sanusi made total donations of N1.47 billion, N1.2 billion or 605 per cent higher than N209 million donated by the CBN in the previous year. This easily qualifies the CBN as the most philanthropic organisation in Nigeria. The CBN governor can afford to be generous. The governor sits at the helm of a bank that in 2010 had total assets of N6.722 trillion. The bank made a surplus (profit) of N47 billion in 2010 despite making a provision for doubtful loans of N206 billion. Unlike the elected governors and the President, no one really controls how much and on what the CBN governor spend the Central Bank’s money. Elected governors have the legislature to approve every penny they have to spend. Technically, the CBN also has a board of directors that approve all its expenditures and should act as a legislature to check how the governor spends Central Bank’s money. But unlike the elected governors and the President who have no operational control over the arm that approves their expenditure, the CBN governor also controls the board of the Central Bank of Nigeria. The governor is the chairman of the bank’s board of directors as well as the operational head of the bank. The implication is that the governor technically is also in charge of approving his own expenditure. The Act establishing the CBN does not compel it to present its budget or expenditure for approval or any other body except the bank’s board which is also chaired by the CBN governor. The CBN act only states that CBN governor shall inform the President about its budget and not seek the President’s approval. It also says the CBN should brief the house of assembly committee overseeing the bank’s affairs on a half yearly basis and not necessarily seek their approval on how the CBN spends its money. Several provision in the CBN act gives the CBN governor significant control over the board of the bank. For example, he has the power to reassign the deputy governors and also has the sole power to call for meetings of the board. These provisions ensure that the governor’s powers at the CBN are almost absolute. The current structure of the CBN makes the Central Bank governor one of the most powerful Central Bank governors in the world. The governor sits as the head of all the key arms of the bank. He is the chairman of the board which is supposed to be the ultimate policy making arm of the bank, he is the head of the committee of governors of the bank, the policy implementation arm of the bank and also the head of the Monetary Policy Committee which makes the all-important economically significant interest rate decisions. The composition of the CBN board also makes it easy for the governor to have his way. Members of the board are divided equally between the executive board members who technically report to the governor and non-executive members who are independent. This ensures that the governor can have his way by just getting one member of the non-executive members to vote with him on any decision that the board has to make. This way the governor has a good chance of having all his decisions approved by the board of the bank. Considering significance of the Central Bank to the economy, the CBN 2007 act may have inadvertently concentrated so much power in the hands of a single man. The use of the powers of the CBN by Sanusi since assuming the governorship position in 2008 has brought home the extent of the governor’s power. In 2010 alone, the governor set up N900 billion in intervention funds to the economy. Also through the establishment of AMCON, the CBN has been spent about N5 trillion in stabilizing the banking system, an amount well above a year’s budget for Nigeria. Some of the expenses look outside what the CBN Act authorises. For example, the CBN is spending N20 billion for what it says is the construction of a “world class centre suitable for the hosting of international events”. This is despite the fact that the CBN 2007 act specifically states that the CBN can only hold properties that are used for banking purposes not hosting events. Besides, how does building a world class international centre impacts on monetary policy or financial stability? It is not clear why Nigeria has chosen to give its Central Bank so much power with little control. Other jurisdictions like in England and the United States have clear controls in place to ensure that critical economic decisions that affect the health of the economy is not concentrated in the Central Bank governor. For Example, the Bank of England has the Court of Directors which is not chaired by the governor and which has clear mandates that acts as a check on the powers of the governor of the Bank of England. In the US, though the Chairman of the board is also technically the Governor of the bank, however the structure of the Central Banking system in the US referred to as the Federal Reserve System is totally different from the Nigerian Central Bank system and therefore the governor does not anyway have the powers that the Nigerian Central Bank governor has. There is no doubt that the 2007 CBN act needs a second look. The CBN is economically too important to be left to dictates of one man. It is not about Sanusi. It is about the economy. The independence the CBN need is the independence ensconced within a cocoon of proper controls and checks to ensure that economically significant decisions are subjected to rigorous thinking before they are pushed into the system. Independence should in no way be at the expense of accountability. You are so right in your analysis of this diabolical manipulator of Nigeria's vulnerability..... A.K.A. Alhaji Sanusi Lamido. Nigerians don't quite know what they've taken on with this man and his not so hidden agenda. At the moment, he's employing reverse psychology whilst expending Nigeria's scanty resources via the Apex bank, to dry clean his image and that of his Puppet Masters. I hope it's not already too late for us to confront the evil that is Sanusi Lamido.